Experience fine apartment living at Mitchell Lofts Apartments in Dallas, Texas! Our community is a truly historic loft renovation that was once home to a prominent cotton gin manufacturing company. Its architecture leaves nothing to be desired: heavy timber columns, steel beams and exposed brick complimented with soaring ceiling heights! Mitchell Lofts Apartments offers a wide range of loft residences that consist of one and two bedroom floor plans featuring updated amenities and sleek interiors. In addition, Mitchell Lofts Apartments is home to The Mitchell Gallery, presenting art shows by local artists. The building also offers elevator service from the main floor to the roof-top sun terrace where you will be witness to an unobstructed panoramic view of the downtown skyline. Schedule an appointment with one of our leasing agents today at Mitchell Lofts Apartments! 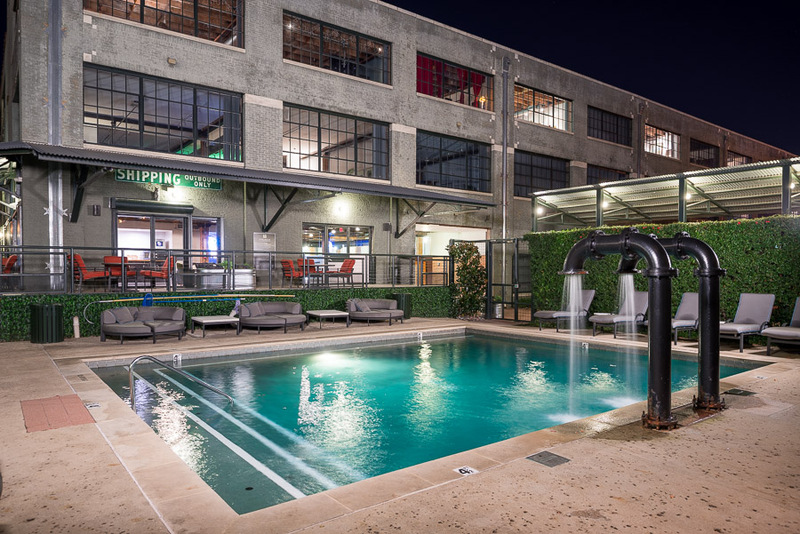 Minutes outside of Downtown Dallas, Mitchell Lofts Apartments boasts a central location in the heart of the city. Our community is located in one of the most historically significant neighborhoods in Dallas, boasting the city's largest collection of commercial storefronts with close proximity to shopping, restaurants, and entertainment inside if DEEP ELLUM! For medical professionals, we are mere blocks from the Baylor University Medical Center at Dallas, making Mitchell Lofts Apartments the perfect place to come home to after a long, grueling shift. Entertainment options are abound: see a show at the Majestic Theatre, spend a day with the kids at the Dallas World Aquarium, or browse the fresh produce at the Dallas Farmers Market. To the north of our community, you will discover stress-free shopping with Target, Walmart Neighborhood Market, Whole Foods and Kroger. We are all about location at Mitchell Lofts Apartment!